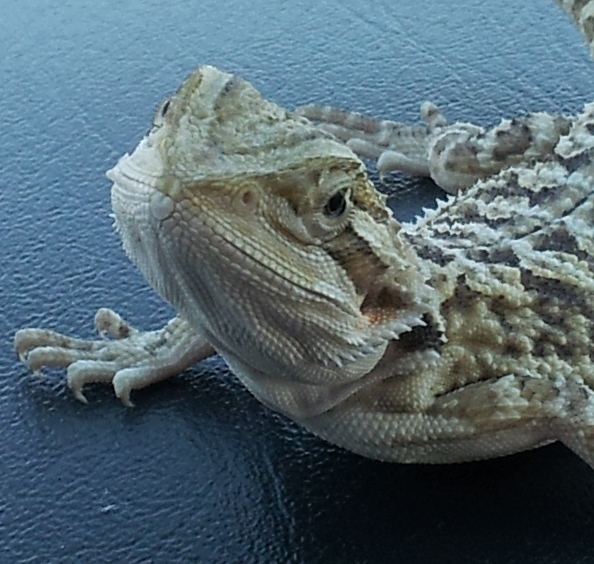 Rango was born on January 28, 2012. I bought Rango at PetSmart after the Pet in the Classroom's grant was approved. Since first I got him, he bended in just fine between our classroom environment. Children of a middle school who ranges between 10-14 years old. The kids love him and enjoy looking at him desperately searching for crickets around the terranium, laying on the log basking, or just looking at them curiouly though the tank glass. Rango is strong. He has firm muscles and a robust body. My name is Yohana Lopez, and I am a rookie Science teacher meaning that I have been teaching for just a couple of months. I am so excited to be able to enhance my lessons curriculum by linking our pets to our lessons in many ways. It is useful to help the students to understand measurement, weight, food chain. biomass, temperature, humidity and an endless amount of many other concepts. The students are be able to see it right there and make instant connections during the learning process in our classroom environment. Pets in the classroom help me as a teacher to engage students with different learning needs (ESE, ESOL, ESL, SPED, ect.,) to understand and visualize concepts. In addition, the students will be able to take personal care of their pet and create a close relationship with it by knowing their habits and life style, as well as to improve classmates relationship by social interaction through the nurture and care of our pet. I am so grateful to the program of "Pets in the Classroom," and I will continue enriching and enhancing daily lessons with the pressense of our pets. Keity was born on January 2012. I bought Keity at a Reptile Store. I went to the store like every friday to buy crickets, mealworms, and waxworms to feed Rango. 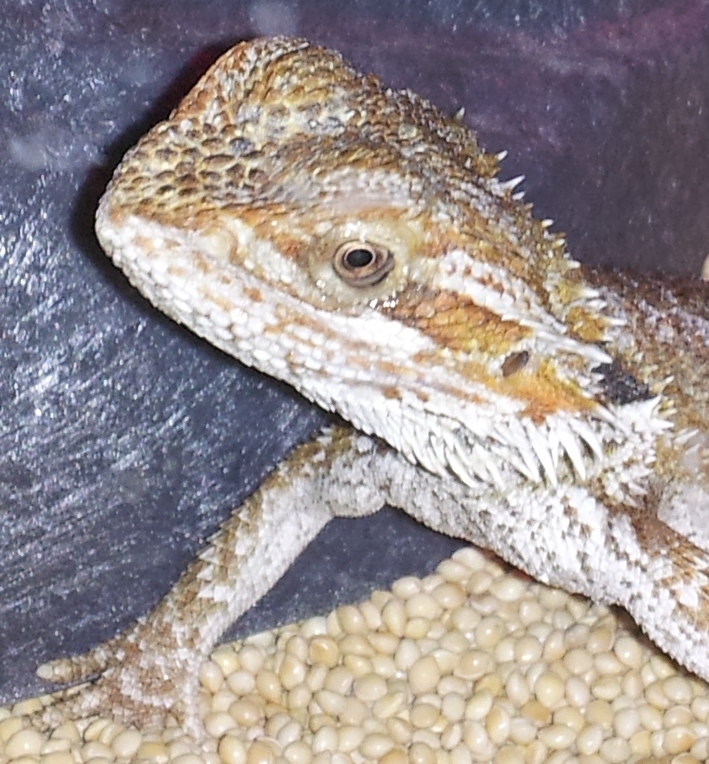 There were beautiful bearded dragons for sale. But, Keity called my attention, she was just laying on the stratus, supper skinny, her left eye was watery and closed. and her bak legs toes looked ugly eaten by other lizards. I knew she was going to be mine. Keity today, after my care, medical treatment, and the children's love, looks just adorable.